CEBU Archbishop Jose Palma is asking the Catholic faithful to be understanding of President Rodrigo Duterte’s latest tirade against the Catholic faith and its observance of All Saints’ Day. “His own daughter, Sara (Duterte-Carpio), had said that her father is not a theologian. He did not study catechism or theology. So it’s up to us not to react to what he says about Roman Catholicism. After all, he’s not the official teacher of our faith,” Palma said in Cebuano. 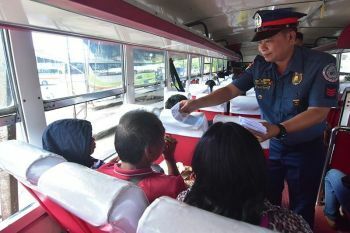 On Thursday, Nov. 1, Duterte branded saints as “fools and drunkards” during a post-disaster command conference held in Isabela in the aftermath of typhoon Rosita. “Happy All Saints’ Day. Bakit naman... Sa bagay, itong tarantado talaga itong mga Katolikong p***. Bakit naman may All Souls’ Day tapos may All Saints’ Day (Why do we have to... I agree, these Catholics are fools, sons of b******. Why do we have All Souls’ Day and All Saints’ Day)?” the President said. “Hindi nga natin alam kung sino ‘yang mga santo na ‘yun. Sino ‘yung mga gago na ‘yun? Mga lasenggo. Dito na lang kayo. I’ll give you a patron. Get hold of a picture of mine. Iyan ang ilagay niyo sa altar, Santo Rodrigo (We don’t even know who these saints are. They are fools and drunkards. Just stay here with me. I’ll give you a patron. Get hold of a picture of mine. Put it on the altar and name it St. Rodrigo),” he added. 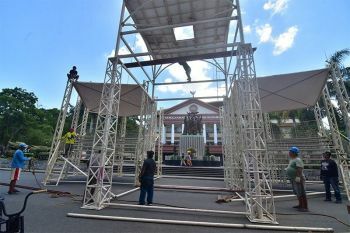 But Palma laughed off Duterte’s latest anti-Catholic remarks, and told members of the media that the President has said many good things and things that are way off mark about the Catholic Church. “The President has said that we should emulate the saints, that we should pray to them. Then there are times when he says things that are contrary to our beliefs... When that happens, I just say, let him be. Anyway, he’s not the official teacher of our faith,” he said in Cebuano. Palma pointed out that the President was just stating his opinion. The archbishop said those who are strong in faith and those who believe in saints will continue to pray to them. Duterte’s latest statement was contrary to the message he issued for All Saints’ Day and All Souls’ Day. Duterte had previously drawn flak for calling God “stupid” and for taking a jab at the allegedly faulty creation story in the Bible. Meanwhile, Palma reminded the faithful that even though it’s a long weekend, they should not spend the whole time enjoying themselves. They should make time to pray for the souls of their dearly departed and visit them in the cemeteries, he said. 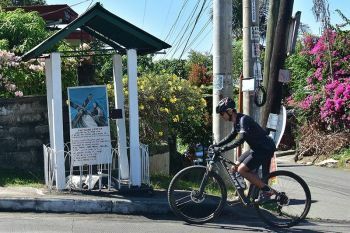 Palma visited the graves of his relatives and his mother in Jaro, Iloilo twice last month yet because he had things to attend to here in Cebu during All Saints’ Day and All Souls’ Day.